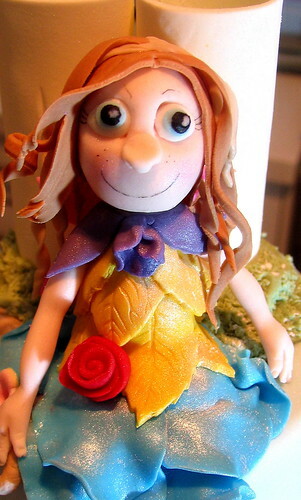 Fairy!, originally uploaded by kylie lambert (Le Cupcake). Sydney Day out! (At Planet Cake), originally uploaded by kylie lambert (Le Cupcake). 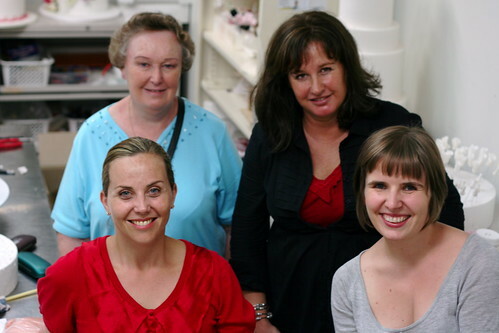 Planet Cake is probably Australia's best cake place, creating & designing the most beautiful & amazing cakes....many for celebrities! So when Naomi, a flickr cake friend (www.flickr.com) organised for a few of us to meet up in Sydney when Chris (another flickr friend) was visiting from England.....we decided to go on a cake/cupcake crawl! Only a couple of us could make it for the day meet so I surprised Chris (actually I accidently forgot to tell her) & took them to Planet Cake for a visit. Click "back" after viewing close up of each photo or you will get lost on another site.......sorry..I can't work out how to post photos except from the other site. Nemo & friends......., originally uploaded by kylie lambert (Le Cupcake). 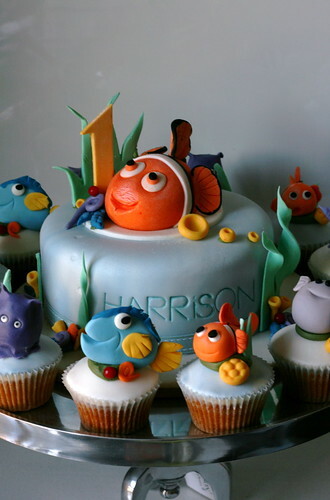 Nemo & Friends, originally uploaded by kylie lambert (Le Cupcake). 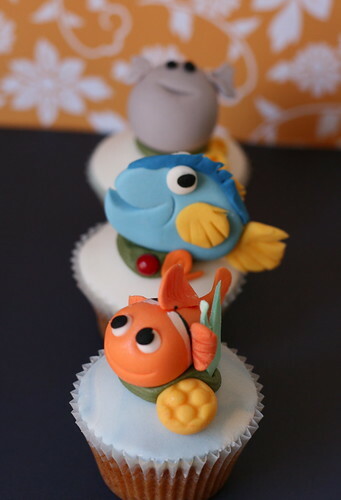 Hand modelled Nemo & friends characters out of icing......on caramel mud cupcakes. 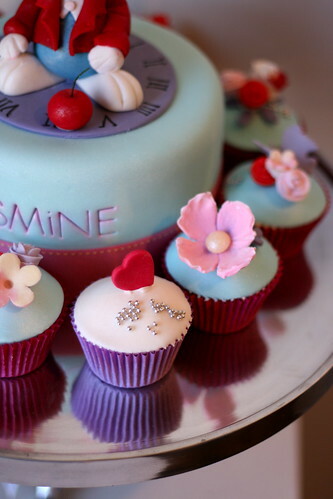 Alice in Wonderland Style cakes...., originally uploaded by kylie lambert (Le Cupcake). 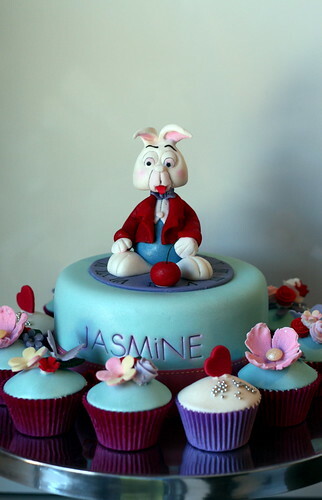 Modelled Icing Rabbit, originally uploaded by kylie lambert (Le Cupcake). 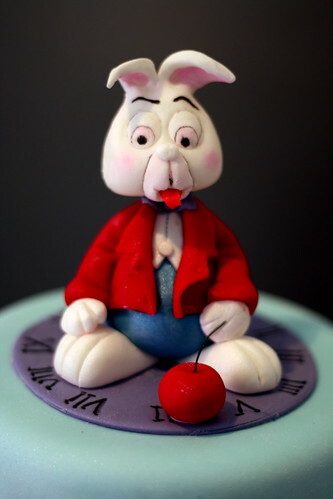 Iced rabbit (totally edible) for an Alice in Wonderland style cake. Le Cupcake are world leaders in cupcake style & design, creating gorgeous & unique cupcakes using fresh quality ingredients.